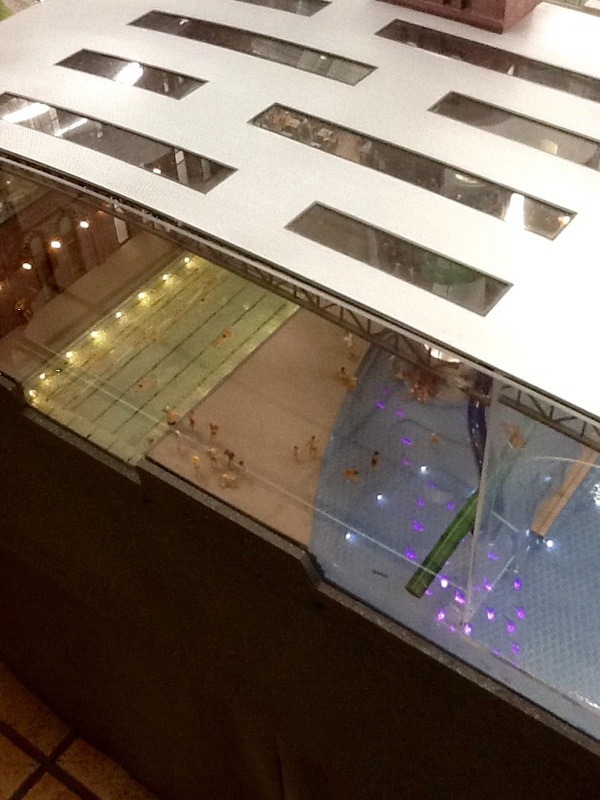 Mini-me LOVES Miniatur Wunderland | Help! I live with my Italian mother in law! Truth he told, I still love cartoons and will often break out singing the Manamana song. As my good friend described me, he wrote “You’re like some cute cartoon character who walks through life with chaos occurring around her with pretty clothes and fancy shoes.” This made me smile. Today I’m in Hamburg, Germany. Getting here was an ordeal in itself with an almost expired Passport and a missing one (my husband misplaced his) up until 1 hour before take-off. I honestly didn’t think I was going to be able to go. Calls to the Canadian Consulate in Rome, the airline twice and the German Police and well here I am. I even tried to cancel my ticket Friday evening and then with new information Saturday morning I was back to un cancelling and packing. My first day on German soul did not disappoint. I hit the Hausbaun (underground/metro/subway station) like a pro (I’m no genius, it’s just super easy to navigate) and was downtown in 15 minutes. I made a very simple reservation online to Miniatur Wunderland to skip past the line-ups and zipped right in. At the entrance there is an electronic board displaying how many visitors per country. For starters, let me just say, THIS PLACE IS SO COOL! I easily spent 4 hours and made the rounds twice. They are in the process of building an Italian display so I will be back to see it next time I find myself in Hamburg for sure. Note: I have loads of video and photos on my camera and will download and post them when I get home. So close your eyes and imagine that you are Gulliver the Giant. People are now the size of your thumbnail and cars are smaller than mice. Listen to the sound of an airplane taking off, open your eyes and you will literally see a model plane, lights and all, taxiing down the runway, lift-off, and disappear into the clouds. They land too! And if you don’t know what’s coming next, just look above you, there is a monitor announcing departures and arrivals. Next, you’ll find yourself pushing all the buttons to watch the tiny figures move about dancing and playing music and hot air balloons fly. Train tracks are all over the place with trains crossing several lines and transport trucks are zipping across mini-highways too. My favourite display was the line-up of firetrucks, lights flashing and a simulated burning building being doused with what looks like real water. And just when you think you’ve seen it all, the house lights dim and the “street lights” come on. To enhance your experience, the pamphlet they give you at the entrance lists 20 hidden images that they challenge you to try and find. It’s a game, kinda like Where’s Waldo, do you remember those books? If you have kids, this is a not to be missed adventure and the displays are realistic to the places they depict along with videos showing some of the history over a few centuries too so the experience is not only fun but educational as well. I ate a reasonably priced lunch there and then hit the little gift shop on my way out. You’ll never guess what I bought … I managed to dig through a few large bins and found the only two vintage Cinquecento’s, FIAT 500’s, in classic red, in the entire store. Of course one is for me and if you’re reading this Massimo, the other one is for you 🙂 So one day maybe I will have the ‘big girl’ car, but at least now I can say that my mini-me has one! 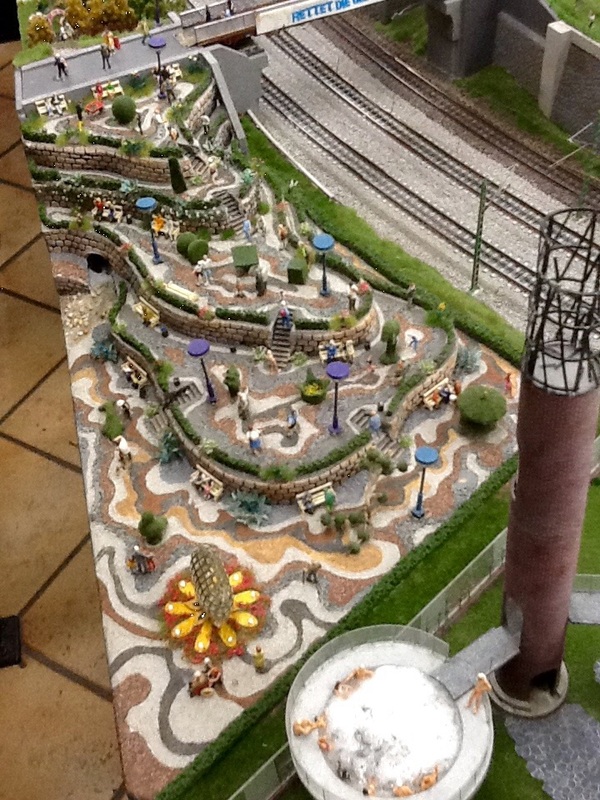 This entry was posted in Art, Tourists, travel and tagged germany, Hamburg, kids, miniatur, toys. Bookmark the permalink.